Facial masks are a great part of peoples skincare routines by treating your skin whilst you put your feet up and let the product work its magic. Cleansers only cleanse the top layer of your skin whilst mud masks really do help draw impurities out from those pesky pores, great if you suffer from problem skin. Some masks offer different treatments for your skin problem so always make sure you are choosing the right mask for your skin type and what benefits it offers from its ingredients. 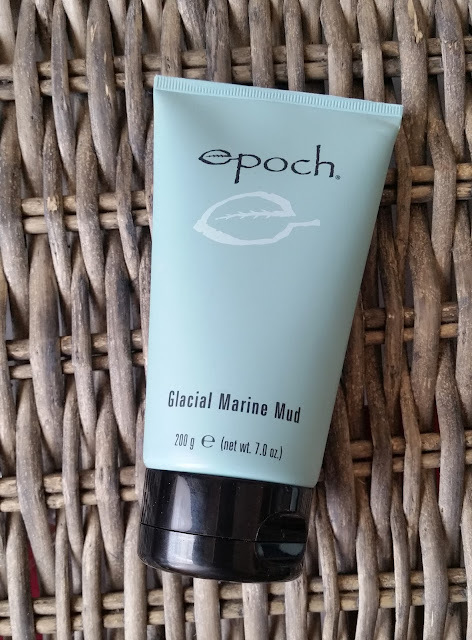 The epoch glacial marine mud by nu skin is a revitalising clay mask with sea botanicals that can effectively draw out dirt and impurities whilst also absorbing oil to achieve softer smoother skin. You can apply to face and also the body where u might need some extra TLC for your skin. The 200g (7.0 oz) squidgy tube with flip top cap can stand upright and is also easy to access the product, as it will always be at the bottom of the tube. I always give products a good shake before use just to make sure they return to the right consistency before use. The mask is perfect consistency for me which is a little runny, great for accessing the product from its packaging and also applying to the skin. Some masks can be a little thick which i find hard to get out of their packaging and an even more nightmare to apply. A little of this mask covers a wide area and glides over skin with ease. I noticed a clean light fragrance which is hardly detectable and what is a great about this mask is that it changes colour, great for beginners! When first applied it starts of being a a dark muddy colour but once dried it is transformed to a light aqua colour, you can wash it off at the light aqua stage or wait for 15 minutes to 20 minutes. Under five minutes the mask was dry and the colour had transformed so to get full benefits i would say wait for at least 15 minutes as the great thing about this product is that it dries so quick! I also liked, no, loved, how cooling and soothing this felt when applied. The cooling sensation felt really calming especially after you have had a busy day! Rinsing was really easy and with warm water the mask was rinsed off easily and my skin felt super clean, soft and smooth. My skin was a little red in places where the mask had drawn out impurities from deep down but that soon disappeared when i applied my facial products. I actually found my products applied better and absorbed much better then before i used this mask. The instructions state to use this mask two to three times a week and best of all, is suitable for all skin types and is dermatologically tested! I really like how easy to use this mask is, the drying time is fast and the colour change lets the user know when you can wash it off. 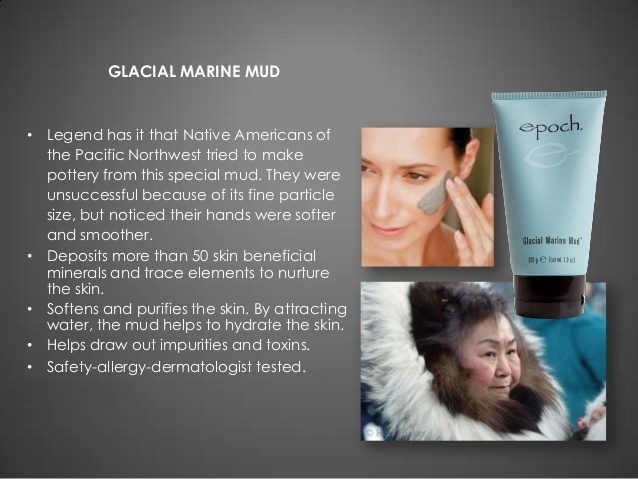 The benefits you can see and feel from the first application of the epoch glacial marine mud by nu skin makes this a statement product to be in anyone's skincare routine. If your interested in this product or would like to explore the nu skin full range then click here and Diane will assist you. X Neil.